North Carolina does not have a ballot initiative process to pass laws. Instead of being able to gather enough signatures from registered voters in the state to put a referendum on the November ballot, we must persuade our legislators to pass the bills we want. Reaching out to your representative is not difficult or time consuming, but it is extremely important to do so. It is the ONLY way the cannabis laws will change in North Carolina. Below are guidelines to follow to make your contact with the state legislature effective and to persuade them into a new way of thinking. Unfortunately most of North Carolina’s General Assembly are against cannabis legislation because “marijuana is a drug, and drugs are bad.” They do not understand that cannabis is not a gateway drug. They do not know that it is impossible to die from overdose and chronic use of cannabis. They do not realize it is less addictive than alcohol, tobacco, or caffeine. They do not know that the National Cancer Institute (Cancer.gov) recognizes cannabinoids have cancer cell killing properties. The list of benefits is long, and the list of risks is short. 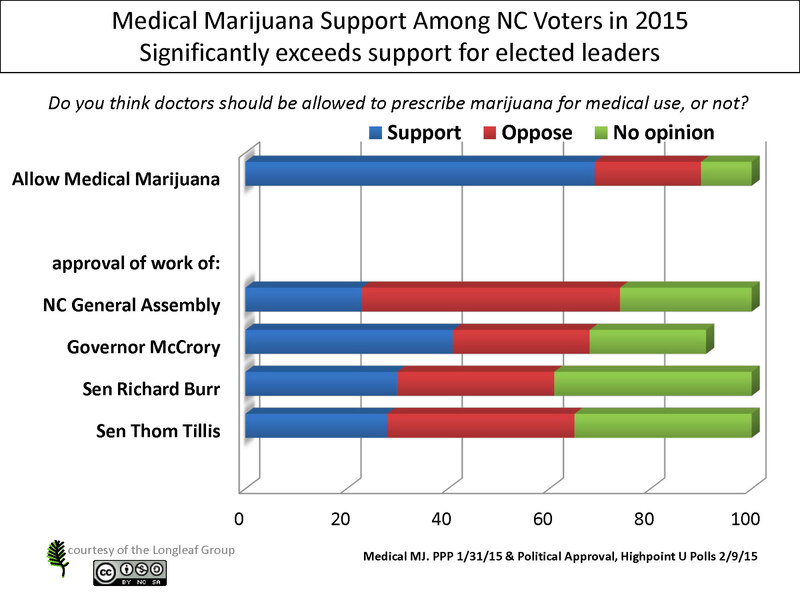 Cannabis support continues to grow with registered voters, but North Carolina political officers remain loyal to an old anti-marijuana propaganda. Still, we need to have compassion for our legislators’ ignorance. Anger at them hurts our cause. We must be respectful and find a way to have a reasonable conversation with them. Step 1 – Who are my state representatives and senators ? The first step is to know who represents you in state congress and find the ways to reach out to them (phone, email, mailing address, etc). If you don’t know who represents you, read the article “Who Represents Me in North Carolina’s State Congress“. Either one will work well. Email works too, but because sending email is so easy it doesn’t have the same effect as a conversation or printed letter. Decide if you are more comfortable talking on the phone or sending a letter in the mail. If you decide to call, be prepared to maintain a calm, respectful demeanor while asking specific questions. Be prepared to listen politely, even if you don’t like the answer you’re hearing. Have a pen and paper handy, pick up the phone and dial the office number. 3) Legalizing industrial hemp (marijuana’s cousin plant that is used to make textiles, but can’t get you high) like Tennessee, Kentucky and West Virginia recently have done. If you get a positive response from these questions, you can ask about full legalization like what’s been done in Colorado and Washington. Based on the representative’s answers to the first two questions, you’ll know if this one is worth asking. Writing a letter is also very effective. It should be in your own words so it doesn’t look like we’re overwhelming them with a form letter. Don’t worry too much about punctuation and grammar. Just ask these some basic questions in the letter, include facts about the plant’s safety and efficacy. Conclude that you would really appreciate their time and a response on this issue. Thank you for your time reading this letter and your service to our community. I would like to know how you stand on marijuana and industrial hemp. Specifically, do you believe doctors should be allowed to prescribe marijuana to qualifying patients? Did you know that already 23 states already offer similar patients protections? Additionally Washington DC recently made it completely legal to grow and possess marijuana. Moreover, in December Congress and the President signed off on language barring the Justice Department from interfering in the implementation of statewide medical marijuana programs. According to 2015 statewide polling, nearly 7 out of 10 residents favor allowing physicians to authorize cannabis therapy. In addition, existing law proposing for the allowance of cannabidiol (but providing no in-state supply source) for only an extremely limited number of patients has proven to be unworkable. Patients deserve the option to legally access a botanical product that is objectively safer than the litany of pharmaceutical drugs it could replace. Please support HB 78 – North Carolina’s Medical Cannabis Act. Your letter might conclude with some facts about how marijuana is non-toxic and no one has ever died from chronic use or acute overdose (compared to alcohol which kills 40,000 people every year according to the Center for Disease Control). Another nice factoid is that marijuana is less addictive than tobacco, alcohol and caffeine. You might also point out that the National Cancer Institute (cancer.gov) recognizes that marijuana has cancer cell killing properties. Put the article in your own words. Stick to the facts and be respectful. The rest will come in time. Let us know how the representative responded. If you received a letter, it would be excellent if you could scan it and email it to us. This type of official record is great to keep on file. If you made a phone call or wrote a letter, email NC NORML a summary of the answers to the questions you asked. If you do not agree with the prohibition of cannabis and current laws, we ask that you do your part to change them. If CBD oil is legal in North Carolina, how and where are they getting it from? A list of sources is at the bottom of this article. NC does not have a medical marijuana law. Possession of small amounts is a misdemeanor. Hemp is legal to grow now. Hemp is cannabis with less than 0.3% THC. Hemp can contain all the other naturally occurring cannabinoids, including CBD. Hemp extracts are available today in all major NC cities at retail stores. I would like to congratulate NC and NORMAL for the huge first step we’ve made by legalizing industrial hemp cultivation in NC. I still can’t believe it took this long to do so considering The United States is the largest consumer of the product. Which means our country has been loosing money( for decades) from purchasing it from other countries instead of producing here. I am not a business man, but common cense tells anyone that if you have a market for something and you are able to efficiently cultivate it in that latitude, for the greater good of the country and it’s citizens you should do so. Countries should be run like businesses and for all basic reasons, they are businesses so to speak. Therefore, why would a government not allow for a product to be produced that it consumes in mass quantities every year? That, I’m sorry was very stupid on our government and political atmosphere in this country. Think about all the tax revenue our government gave up for all those decades. Think about all the new jobs that were not created during that time in history, not to mention the tax revenue they lost from those jobs that weren’t created. Seeing how they have not let us cultivate this product in fact we have been allowing other counties to steal our wealth. No wonder this country is in so much trouble. NO COMMON CENSE !! Now that I’ve said that, let me tell another fact, and feel free to use this idea in legislation if you’d like. We have seen outstanding results from the full marijuana legalization in places like Colorado, Oregon and Washington DC. Crimes fell to an all-time low in these places and unemployment fell to the lowest in country. This tell me that this can and will bring this country out of it’s slump as far as employment and the overall prosperity of this country. Now a brilliant plan…… In order to get the Federal Government to relax it’s laws on this matter we need to show them a positive result out of all this. This is were it’s brilliant, legalize Federally in all states, use all the taxes from the sale of marijuana only and we can get out of debt within 20 yrs. Allowing the US dollar to be worth a dollar again, which would raise moral in the public sector and we could get this country back to were it should have been all along. By doing this it would not hurt our government at all, because this is a new tax that they have never gotten before so they wouldn’t be loosing any money. Now I think this is a great solution to e everyone’s problems, it’s a win-win situation. Everyone gets what they want and if they still block legislation after hearing this proposal them I think it would be easy to prove that our government is corrupt and does not care for the welfare of it’s citizens at which point the people could move to impeach the entire government and start voting on bills, laws and politicy our selves via computer/internet, which is what we should be doing anyway…..then we as a country could save even more money from not having to pay salaries for Senate, House and staff not to mention plane tickets, hotels, etc. etc.